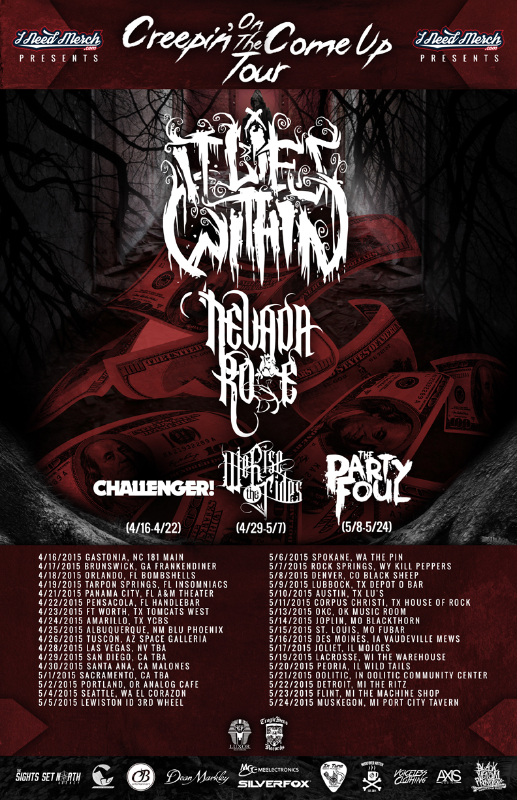 It Lies Within have announced their next headlining run will be the I Need Merch Presents: Creepin On The Come Up Tour. Joining them on the entire run will be Nevada Rose (Tragic Hero Records) while Challenger (4/16-4/22), We Rise The Tides (4/29-5/7), and The Party Foul (5/8-5/24) will play on select dates. The six week tour begins April 16th in Gastonia, NC and runs all the way through May 24th in Muskegon, MI.